The second day of the ICC Men's World T20 Africa C Qualifier saw a lot of exciting action and strong performances from St Helena. 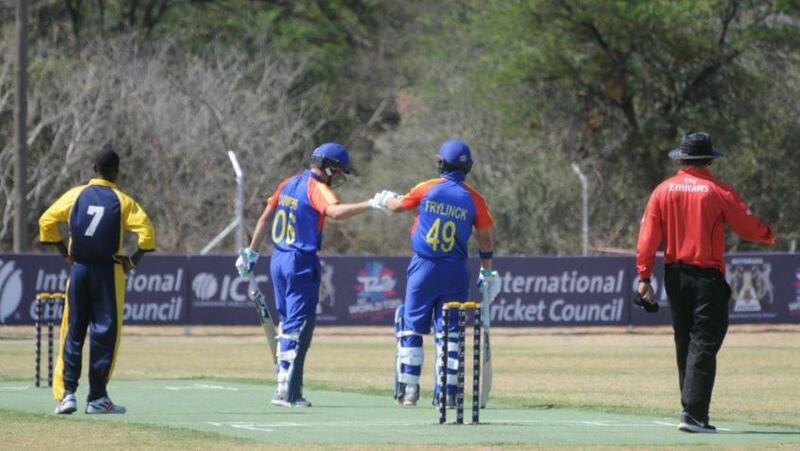 The second day of the ICC World Twenty20 Africa C Qualifier, in Botswana, saw Namibia carry on their fine form, and put a marker down for the rest of the teams to pursue. St Helena had already started their day with a tense, six-run victory over Malawi, thanks to Andrew Yon's half-century and skipper Scott Crowie (45). St Helena made 136 for five and then held off Malawi by just six runs. The Malawians got close thanks to Donnex Kanshonkho (41) and some late hitting from Moazzam Baig (34) and Gershom Ntambalika (29 not out). Crowie marshalling his troops with bat and ball to a tense victory. 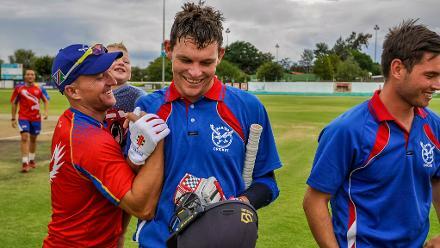 Namibia, the tournament favourites, helped themselves to a massive, 125-run win over Mozambique, thanks to the first century of the tournament, notched by opening batsman Lohandre Louwrens, who struck an outrageous 100 from just 48 balls. He got wonderful support from in-form skipper Jan Frylinck, who added83 not out to his first-day half-century. That enabled Namibia to pile on 229 for six. In response, Mozambique never got close, as they caved in for 104. Tangeni Lungameni grabbed five for just 16 runs including a hattrick to confirm the routing. Lesotho beat Swaziland, before being trounced by St Helena in their double dose of action. In the morning, Sarfaraj Patel took three for 21, as Swaziland were restricted to 105 for seven. Chasing that target, Patel then made 34 not out, to see Lesotho home by eight wickets. In their second outing, St Helena got the better of Lesotho, in far more comfortable fashion. The Islanders scored 196 for five, with Damian O'Bey (55), Ryan Belgrove (54) and skipper Scott Crowie (63*) all climbing in. In reply, Lesotho were blown away for just 123, as the double shift took its toll. Maaz Khan made 51, but it wasn't nearly enough. Belgrove took three wickets to complete a fine day's work for the Islanders, with St Helena triumphing by 73 runs. Botswana won the toss and chose to bat first against St Helena in this morning’s fixture at the main oval. Swaziland take on Mozambique in the other match.